Yet another colorway of the Steve Nash Signature Nike Zoom Go Low has now surfaced. Just yesterday we gave you a detailed look at an upcoming black and varsity royal colorway of the Steve Nash Signature Nike Zoom Go Low. We now have a look at yet another clean colorway that is set to release, arriving in the classic combination of white, black and varsity red. White and black smooth leather work most of the upper, with perforated leather taking place along the ankle area. Varsity red offers most of the accent, taking place on the lower eyelets, outsole, tongue and heel branding, and coming together with black on the Swoosh. 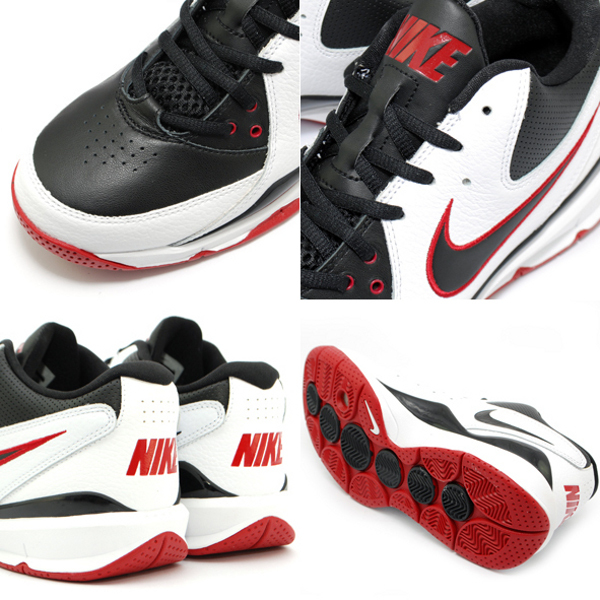 Look for this all new colorway of the Nike Zoom Go Low to hit Nike Basketball retailers sometime in the very near future.